These terms and conditions apply to your use of the Braintree Village website (“the website”). Any enquiries about this website should be directed to bv-info@landsec.com or call 01376 348 867. 15.1 Braintree Village is private property owned and managed by the Land Securities group of companies. Entry to the Centre (which may include the airspace above) is subject to our consent. 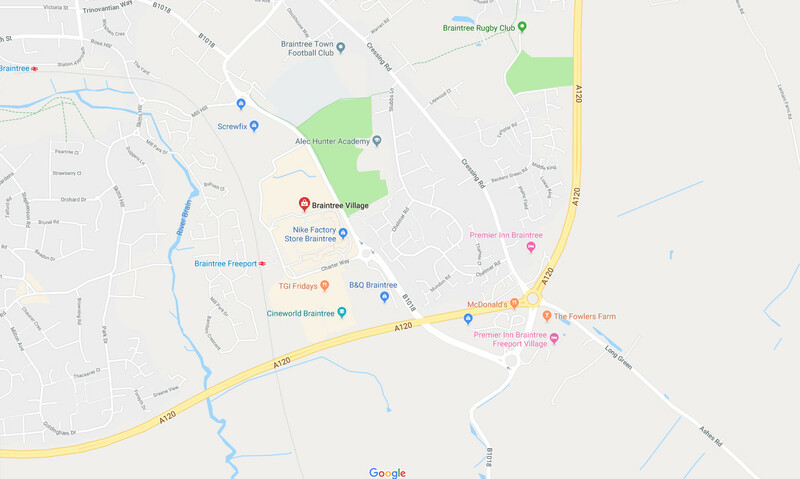 Braintree Village does not permit the flying of “drones” or similar technologies, other than those deployed by the emergency services or other competent bodies on or over Braintree Village. 15.2 We reserve the right to take such actions as we consider appropriate, including court proceedings including but not limited to an injunction to prevent you from flying drones or similar technologies on or over the Braintree Village or prevent you entering upon the Braintree Village.